Sony has revealed two special editions for the upcoming PS4 exclusive, Bloodborne. The Collector's Edition comes with the game plus a code to download the game's soundtrack and a lavish art book containing exclusive concept art and other visual insights into the game's development. That all comes wrapped in a stylish steelbook case. The Nightmare Edition is the one for true fans. It includes all the extras from the Collector's Edition, plus a gothic notebook, a real quill with red ink and a skull-shaped inkpot. You'll also receive a special bell trinket with which to summon other players into your game, and a top hat messenger skin, so that when your character appears in someone else's game, they'll be stylishly attired. The Nightmare Edition comes packaged in a fantastic display case designed to look like a selection of old books. The game, from Dark Souls creator Hidetaka Miyazaki, is a fast-paced, brutal horror adventure set in the spooky city of Y'harnam, where diseased pilgrims journey in search of a fabled cure. As one such traveller, what you discover are hordes of deformed monsters out for your blood. So not just a quick trip to the chemist for some Lemsip, then. 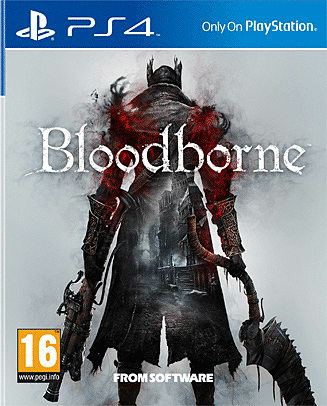 Bloodborne is a PlayStation 4 exclusive, due for release on 25 March.